What a tough lose. The Bengals hung with the Steelers all day despite playing very bad at times. They were able to march down the field and score with ease just before halftime, then went on to get only 4 total yards on offense in the third quarter. I still think the Bengals were the better team, and if you put any other logo on the Steelers helmets the Bengals win. But the Bengals just can not beat Pittsburgh. It was crushing to see Brown score with just seconds left, but the fact that it came down to the last play was encouraging that the Bengals hung in and fought down to the wire. This week we get to sit all day Sunday in anticipation of a prime time game with a red hot Chiefs offense. 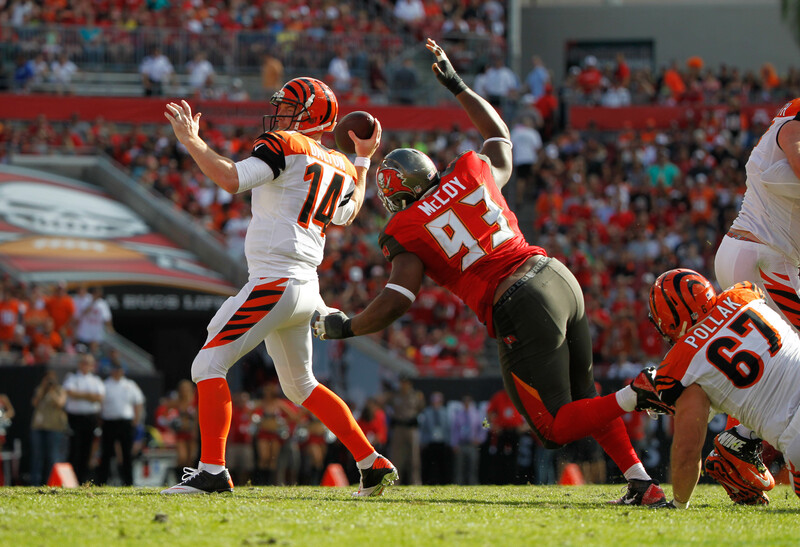 The Chiefs defense shouldn’t provide much of an obstacle for the Bengals offense. 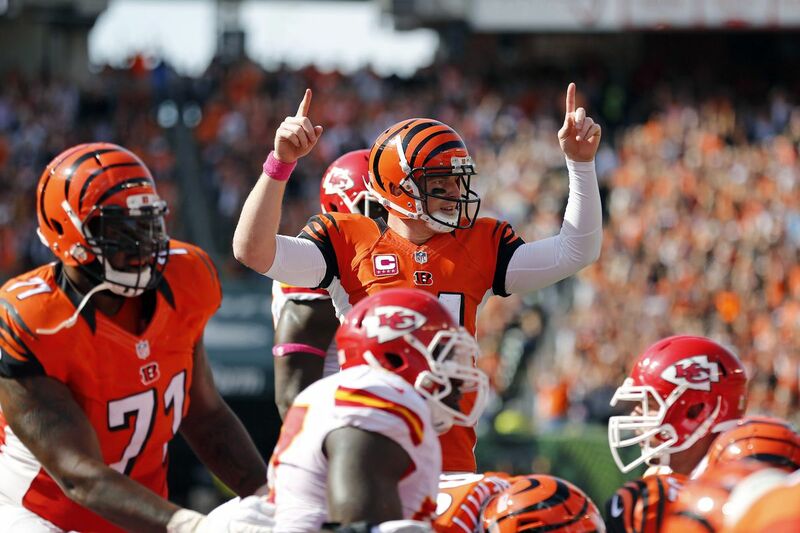 The game will be decided by how much the Bengals can slow down the Chiefs offense. The key will be to keep the Kansas City offense off of the field, which is why I think Joe Mixon will have a big day grinding out the clock. And the more we keep our defense off the field against Patrick Mahomes, the better! William Jackson III vs. Tyreek Hill – Earlier this week when asked about Tyreek Hill’s speed, William Jackson replied “I can fly too”. Every Bengals fan watching this game will hope the same thing. Tyreek Hill has made defenses look silly this year with his speed. On the bright side for Bengals fans, William Jackson allowed zero receptions on two targets last week against Pittsburgh. It’s encouraging that teams are afraid to throw his way, and when they do it doesnt end well. Let’s hope this trend continues when William Jackson is lined up on Tyreek. The Bengals Defensive Line vs. The Chiefs Offensive Line – It is not secret that this “elite” defensive line we saw during the preseason is under performing. One of the reasons we came up short against the Steelers is because Ben Roethlisberger had all day to throw. The Bengals line must play better to take pressure off the secondary and linebackers, especially with how bad our linebacker play has been. This may be a tough task as the Chiefs have allowed just six sacks this year, the least amount by any team in the NFL so far. Bengals Linebackers vs. Travis Kelce – I mentioned before that the Bengals have one of the worst linebacking corps in the league. Well it is a good thing they don’t have to matchup against one of the best tight ends in the league this year…. Oh wait. The Bengals have been very bad against the tight end position this year and Travis Kelce is arguably the best tight end in the game right now. In almost every team the Bengals have faced this year we have seen the opposing teams tight ends have big games. If the Bengals can not figure out a way to slow down Kelce, fans could be in for a long day on defense. My Prediction: The Chiefs are a very good football team, which is why they are 5-1. Every year Andy Reid’s offenses start red hot and crash back down to earth when teams start scheming with more knowledge on how to stop them. As a Bengals fan, I am really hoping that starts this weekend. However, I am not betting on that. I still think the Bengals are a very good team, but after a tough loss to Pittsburgh, multiple injuries, in primetime I just can’t. I think the Bengals will make it interesting but not have what it takes to slow down Patrick Mahomes. Be sure to follow me on twitter @Pierson242FF, and be sure to tweet me with any Bengals related questions or comments!